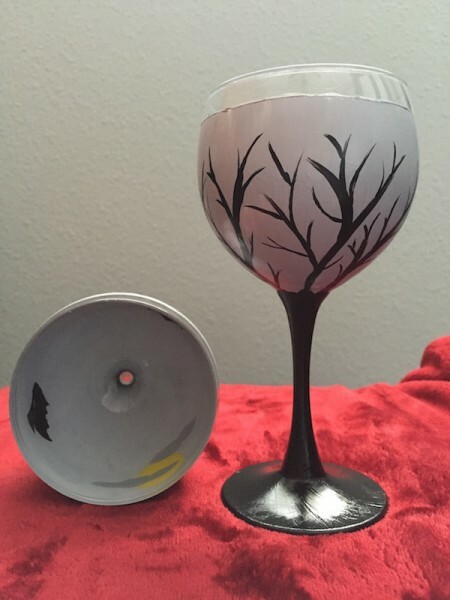 Spooky Halloween branches on the exterior of the glass and Halloween bats and moon on the interior. All paint is on the exterior of the glass making it completely usable and very unique to the market. Sold as set of two 10 oz. glasses. Hand washing is recommended.